Our Tiny Fruits pouches are packed with up to a whopping 1/2 pound of real organic fruits. That's three servings of fruit in every pouch! With our incredible freeze-drying process, all those terrific nutrients and enzymes are naturally preserved and ready to supercharge your supertot. Each piece of fruit is perfectly diced for pick-up-able, bite-sized pieces. 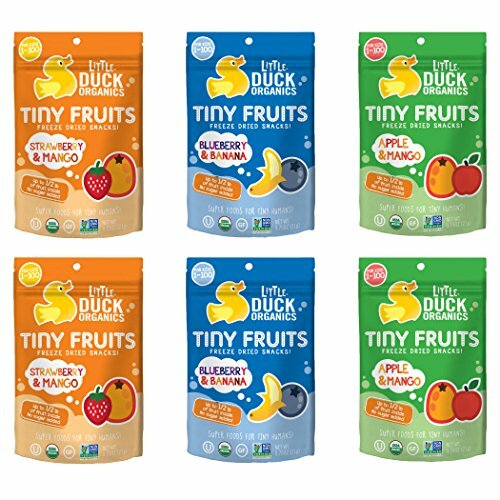 Tiny Fruits come in a convenient resealable pouch, perfect for on-the-go or lunchbox snacking that can be enjoyed by the handful or as a topper on cereal or yogurt. A super food for your little super human's healthy development and growth!